CIA Director John Brennan said he disagrees with presumptive Republican presidential nominee Donald Trump that waterboarding detainees advances national security investigations, and said he would resign if "the next president" ordered him to resume such controversial interrogation techniques. 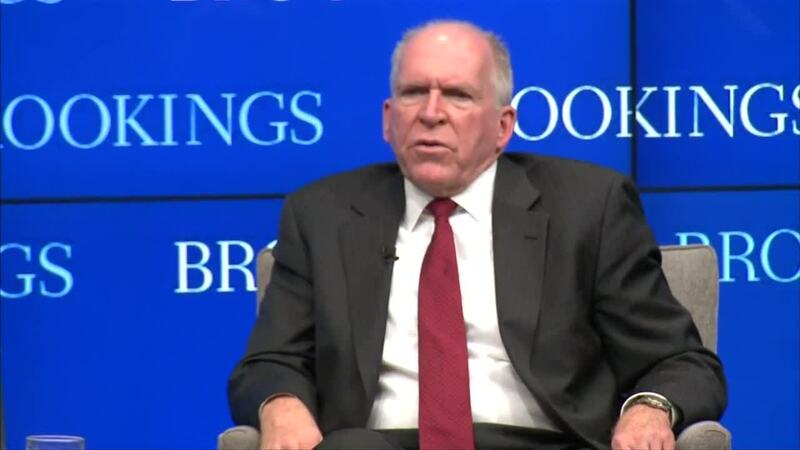 Brennan said during an event at the Brookings Institution think tank on Wednesday that the next president could order expanded drone attacks or remove the ban on waterboarding, but the final decisions are up to the director of CIA and their agency colleagues. He then said if the next president wanted to resume waterboarding "they'll have to find another director," but did not mention Trump by name. "I can say that as long as I'm director of CIA, irrespective of what the president says, I'm not going to be the director of CIA that gives that order," he said. Brennan said in April he would reject an order to resume waterboarding because the CIA as an "institution needs to endure." Trump later called Brennan's April comments "ridiculous." The former reality show host has said "torture works" and has tried to portray himself as a law-and-order candidate. During a rally on April 20 in Indianapolis he added, "I love it...we should make it much tougher than waterboarding." President Barack Obama banned the use of waterboarding in 2009, calling it torture and thus a violation of international law. A Senate Intelligence Committee report completed in 2014 showed that the waterboarding of three suspected militants detained in secret foreign prisons during the Bush administration was ineffective at producing intelligence on terrorism. Former CIA operatives have told U.S. News that the use of enhanced interrogations techniques like waterboarding reflect how the agency has faced crises of ethics and identity since the end of the Cold War.